Five Year 5 and 6 students at Leamington Primary School in Cambridge work hard on their iPads in 2014. They were undertaking research for a topic in language inquiry. 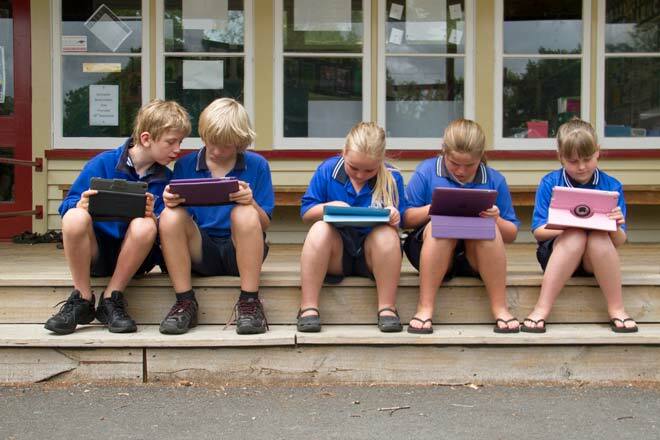 The school was involved in a partnership with Waikato University's Faculty of Education to examine how mobile devices could support pupils' work at this level. There was also research into how far the devices might assist Year 1–2 pupils in literacy.